Tech Pros on-site computer repair service was established in order to meet the growing need for on-site computer repairs. Every day internet hackers, viruses, spyware, pop-ups, spam and other "bad actors" are getting into computers, networks and commercial IT infrastructure. Since these threats have increased exponentially in the last few years, we knew that there would be a tremendous need to restore computers to full functionality. We also knew people wouldn't want to unplug their computers and bring them to a shop - so we come to you. Therefore, we assembled the best mobile computer repair service in the county. At Tech Pros you can be assured that you are getting one of the best computer repair technicians to work on your PC. We have qualified and, most importantly, experienced individuals available to take care of you and your PC repair problems. When you call to schedule a Tech Pros On-site Computer Repair Technician, you want someone to take care of your computer repair problem in a timely and efficient manner. Call the company that can do the job quickly and save you money along the way. 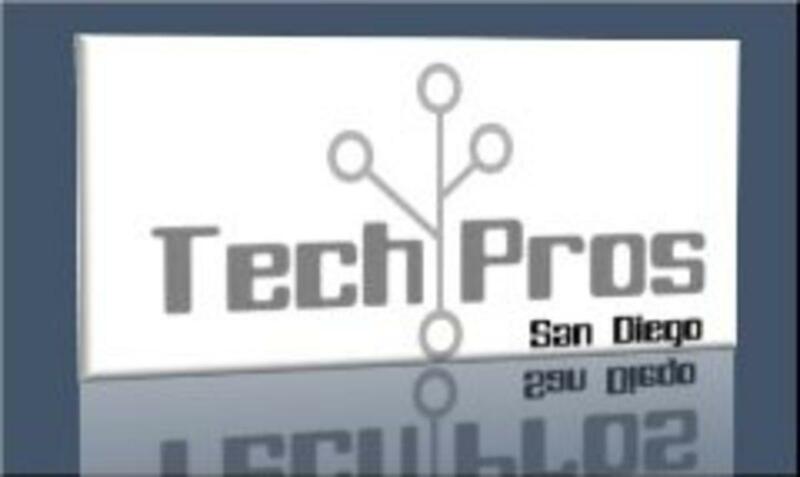 Call Tech Pros - San Diego County's premiere on-site computer repair service - today.